Undergraduate students at all levels are encouraged to "think critically." We work toward this goal by connecting the theoretical concepts of computer modeling to a simple physical model constructed in lab. Students build a physical representation of a one-box model, consisting of reservoir, input, and output. They observe the steady-state system, then perturb the system by instantaneously doubling the rate of input. Students observe the response of the system as it arrives at a new steady state with increased input, output and volume. Students then construct a computer model of the same system, and observe that the computer produces results analogous to their observations. In subsequent exercises they modify their models in order to study more complicated systems. There are several advantages to this approach. 1) Students gain confidence in computer modeling by working with a system that they already understand well. 2) Computer modeling is a creative exercise in which students must both analyze a situation and design its solution. 3) The one-box model is a flexible system that is easily adapted for study of a wide variety of natural phenomena. 4) Using appropriate software, the model building can be carried out by introductory-level students. 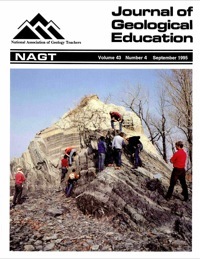 5) The mathematical description of a one-box model is well within the grasp of students with basic calculus skills, and thus geology majors can gain experience in applying mathematical techniques to problems of practical interest. This exercise is open-ended—students begin on a firm platform of observation and are armed with theory and computer skill, thus allowing them to explore a range of problems whose solutions require creative and critical thinking. Folded rocks of the Ordovician Iberville Formation on the east shore of Lake Champlain in Vermont being studied by Hamilton College Students on a structural geology field trip. Photograph submitted by Barbara Tewksbury of Hamilton College. Cooperative-learning activities can create a relaxed, comfortable atmosphere in the classroom and help students learn better by giving them a chance to verbalize their thinking and actively construct knowledge. Cooperative learnings is particularly suitable for students whose learning styles are not compatible with standard didactic teaching methods. Specific cooperative learning activities that have worked well in my classes are group compilation of notes, group testing, group lab activities, and group projects. The jigsaw structure works well in upper-division classes but not so well in large-enrollment introductory-level courses for non-science majors. A number of obstacles can make the implementation of cooperative learning difficult, especially with large classes taught in fixed-seat, auditorium-style lecture halls: absenteeism, student perceptions that they are being treated like children, the immaturity of some students, the rarity of cooperative learning at the college level, and negative experiences students have had with group work. Despite these obstacles, cooperative learning can be a very effective teaching tool, especially when faculty solicit input from students and explain their reasons for using such nontraditional teaching methods. The 'jigsaw' technique is a versatile strategy that can be used in many different ways to increase the involvement of students in their own learning and to create an effective learning environment in a course that de-emphasizes lecture.Teams of students are assigned to investigate different aspects of the same problem or issue.Each team might, for example, analyze a different but related data set or read an article on different aspects or viewpoints on the same topic.Once each team member thoroughly understands his/her team's aspect of the problem, new groups are formed, with at least one representative from each original team.Each individual then explains his/her team's aspect of the problem to the new group. In this way, every student learns every aspect of the problem. Each group then uses the combined information to evaluate a summary issue.The technique works most successfully if 1)there are different but overlapping assignments for different teams, 2) individual students prepare before teams meet, 3) individual summary assignments are based on group work, 4) there is variation in what students do during class time, 5) there are penalties for absences from class, and 6) the instructor makes clear the goals and advantages of this type of class structure. 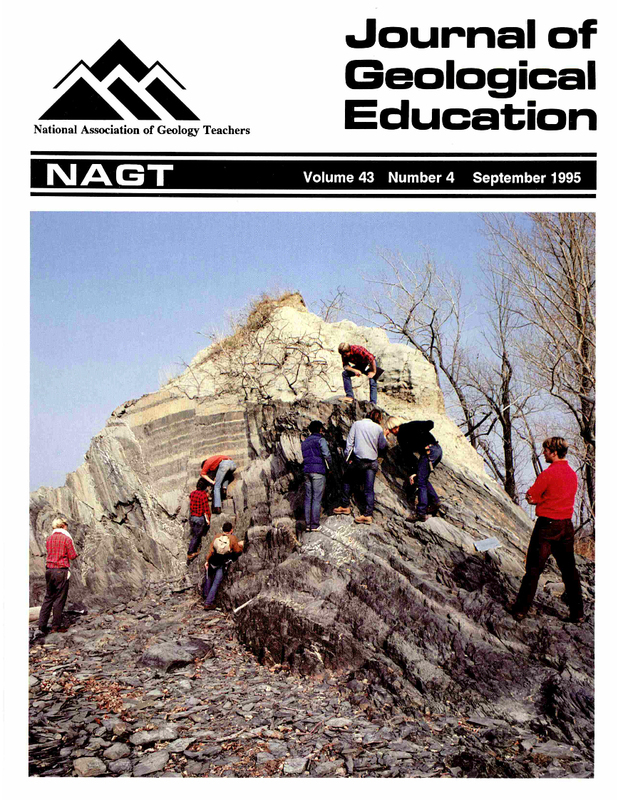 Small-group cooperative-learning activities involving writing and/or oral presentations promote active learning in large lecture-based physical and historical geology courses. Goups include informal pairings of students for short discussions, writing peer-review groups of three to four students, and groups that work together throughout the semester on a variety of other projects. Writing assignments consist of ungraded in-class writing and graded short papers on a variety of geological topics. Oral presentations include debates, panel presentations, and skits. As students exchange ideas and work with one another in these activities, they are learning geology as well as improving their communication and collaboration skills. The learning communities that develop reduce the isolation many students feel in a large lecture class. To implement cooperative-learning, instructors should design activities that incorporate key elements of cooperative learning and are directly related to course objectives. Service learning is a mode of instruction that directs course activities toward issues or problems of societal concern. Components of a successful service-learning experience include a clear articulation of community needs, orientation and training of students, meaningful action, and reflection upon and evaluation of the activity. An example of service learning in the geosciences is a class project that prepared a public forum on seismic hazards in southwestern Montana. Service-learning activities yield numerous benefits to students, faculty, institutions, and the community-at-large. The geosciences are in a central position to engage service-learning activities in the application of our knowledge base and scientific methods.